Welcome to my blog. This is place where you will find everything about earning cryptocurrency and money online, with faucets, gambling methodes, investment projects. Seo-fast is great Russian website with many ways to earn money (Russian Rubles). Also it have option to payout to several payment processors and payments are instant. To be able to make first payment you need 30 points in your rating. If you understand russian language you can see how much points you get for each activity, if you don't understand, just be an active, and in few days your rating will be over 30. 1. Surfing (Сёрфинг) - click on AD then on Приступить к просмотру button. In new window just wait for timer than click on Пройти проверку button. 2. Paid Visits (Оплачиваемые Посещения) - click on AD then on Приступить к просмотру button. On new tab you will see timer for redirect, then another tab will open. When you hover mouse on left tab (on tab from where you are redirect) you will see timer on tab title. 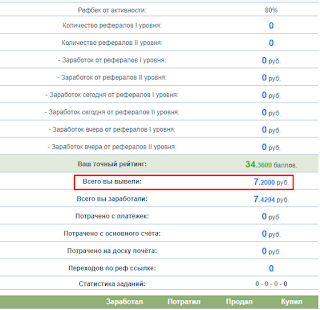 Wait to timer done (You will see title Готово) and click on tab, it will close and you are done. 3. Paid Letters (Оплачиваемые Письма) - click on AD then on Приступить к чтению button. Pop up with site description will appear. To qualify to watch AD you will need to answer on simple question which answer is in site description. If you don't understand what you need to answer, click on right mouse button, then translate to English - that will help. In new window just wait for timer than click on Пройти проверку button. 4. Paid Tests (Оплачиваемые Тесты) in this section you need to visit pages which given in test description and answer to required questions from sites you visited. if you don't understand russian, better pass this section, with wrong answers you will be blocked. 5. Tasks (Задания) - this section is like paid to signup section on PTC websites. Usually you need to join website under someone's referral section and done require activity (like be active for 5 days, click on 20 links in total, etc.). Don't try to cheat in this section, task giver can see your activity on his referral page. 6. Youtube - you will get paid to watch Youtube videos. You don't need to watch whole video, just how much timer require. Sometimes you will get higher reward if you subscribe on someone's channel. If you subscribe, don't unsubscribe, because you can be blocked from this section. Before you can use this section, you need to link your Youtube channel on profile page. 7. Vkontakte - similar section like Youtube. You will get paid to do required tasks on Vkontakte network (for watching, reading, likes, repost, etc). Before you can use this section, you need to link your Vkontakte profile on profile page. 8. Teaser advertising (Тизерная реклама) - if you want to make extra profit, install Seo-fast extension on your browser. Extra ADS or offers will popup sometimes. Also on extension icon you can see stats of your earning and how much ADS is possible for each section. (see screenshot below). 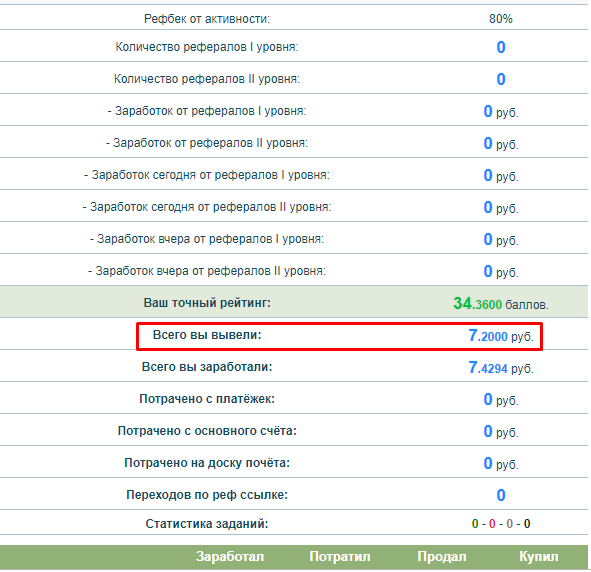 Ibanner is Russian website where you can earn bonus (in Russian rubles) on your Payeer account every 2 minutes. Additionally you can play games (green button Игры) every hour and get extra bonus (better you play = higher bonus). You can play Memory game and 2048 game. Satoshi Labs is a great bitcoin faucet with possibility that you build your virtual lab and earn passive income in bitcoins. There are 2 currencies in this faucet: Lab Flasks and Credits. Lab Flasks is required to upgrade buildings in your lab and withdrawal. Your lab have 6 buildings: Bunker (production 10; cost 250 Lab Flasks); Generator (production 32; cost 750 Flasks); Food Crates (production 74; cost 1750 Flasks); Technology (production 127; cost 3000 flasks); Tools (production 210; cost 5000 Flasks) and Security (production 435; cost 10000 flasks). Every purchased level remain for 90 days, and after it's expire, your total production will be deducted for amount of expired level). Total production determine how much Flasks you will earn passively, every hour. 1 Lab Flask equal to 70 production, so if you have production of 7000 on 100% energy, for example, you will earn 100 Lab Flasks every hour. You don't need to calculate ROI of your investment, because you don't get just flasks from production , every hour you will get bonus flasks from pool. That mean if you invest more, and have better production, you will get more percents from pool every hour. You can earn energy with offerwalls, shortlinks, watching More TV Time videos, or you can exchange them with your Flasks. Also you can exchange energy for flasks, so if you doing tasks, you can convert extra energy to earn more flasks. Except from 5 minute faucet (5 - 15 flasks rate), you can multiply (or lose) your Lab Flasks with roulette game. Price of Lab Flasks is fixed and it is 0.05 $ for 1000 flasks. Minimum for withdraw is 5000 flasks and it is automatically convert to bitcoin and go to your faucethub.io account. How much satoshi you will get depend of bitcoin price in moment when you withdraw. You can easy calculate with this formula 5000/(bitcoin price) x amount of Lab Flasks. Surfe.be give you opportunity to make a passive income practically with doing nothing, while you doing activity you do every day on internet. Everything what you need is to install an extension on your browser (chrome, firefox, opera or yandex browser). It is not mining script, so extension will not use your CPU, it is clean extension which will not make unwanted popups, popunders, malicious softwares or scripts on your browser. It is just make a bar on bottom of your browser (can be changed to top side, too), where their network show banner, and you will paid for banner impressions when timer done. In other words you just need to keep that tab open (when you surfing on internet) and you will be paid for doing nothing. Additionally, you will get notifications on extension, when PTC (paid to click) ad is available, or short video, and you will get additional rewards for it. Surfe.be is light, not annoying extension which will not ruin your internet activity or damage your browser. So it is good for everyone, and especially for peoples those surf much, because everyone like free money. Withdrawal going from 0.03$ and money can be withdrawn to Payeer, Qiwi wallet, Yandex money, Web money and Monero wallet. 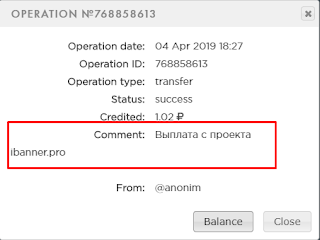 Boneasy.ru is Russian website who offer you free bonus in russian rubles directly to your payeer wallet. But unlikely other websites who offer bonus in rubles (usually 0.01 to 0.25 ruble) this site offer unbelievable bonuses. 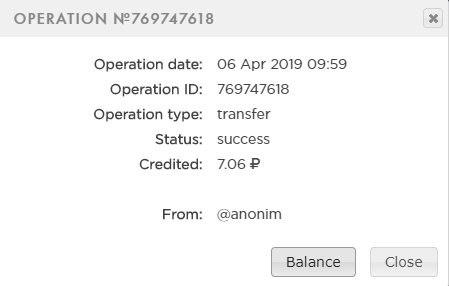 After my first claim, I got 486 rubles (approx 7.3 $) that was first sign this site is SCAM. I go to withdraw page immediately and see that I need to put secret key from payeer account in withdraw form. SECRET KEY MEAN THAT YOU GIVE COMPLETE ACCESS TO YOUR PAYEER ACCOUNT THROUGH THE API. SO NEVER GIVE YOUR PAYEER SECRET KEY TO UNKNOWN PEOPLES !!! Also there are video tutorial how to get secret key from your payeer account and flash player host on his own site. Usually owner of richest websites host tutorial video to youtube, because they also promote their project through social networks include youtube. 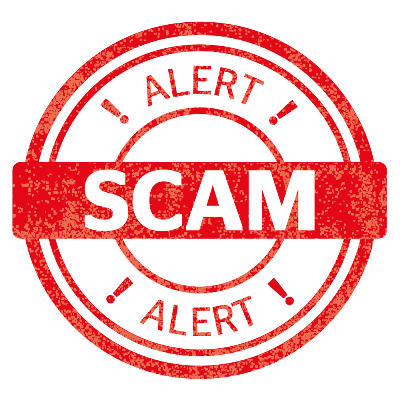 This scammer host video on his own site to avoid user comments, because if he disable comments on youtube, that is make suspect of his video, and if he enable it, peoples will comment that site is scam of course. 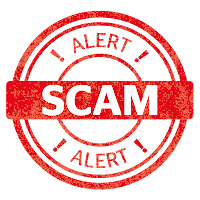 This is one thing that can help you to recognize scam sites in future. 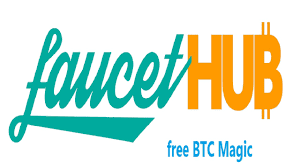 FreBCC is a high paying faucet where you can get over 1000 satoshi for free every day. Withdrawals can took up to 48 hours and they go into your faucethub.io account. NOTE: You need to make withdraw request every day, or up to 14 days maximum. Otherwise your account can be banned. Eldi Claim is a bitcoin faucet mixed with PTC (Paid To Click) earning way. Current claim rates (it is depend of bitcoin price and may vary) is 15 satoshi, and claim timer is 5 minutes. With low claim timer and one of higher claim rates, this is for sure one of better faucets. Additional ways for earnings is PTC with 10+ daily ads and offerwalls. Payouts are instant on your faucethub.io account for faucet claims and PTC ads, while earning from offerwalls goes to your account balance and you can withdraw it when you collect 0.00010000 BTC. Additionally you can spend them to promote your website or referral link. There are also daily bonus reward of 200 satoshi when you complete easy tasks. 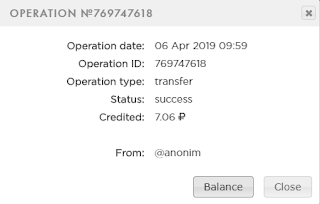 Required tasks are: 40 faucet clicks, 6 PTC clicks, 25 completed offers, and 1 day of activity (which you already done when you make account). Freedogeco.in is a dogecoin faucet an it is one of oldest and best LEGIT faucets. You have a free roll every hour and amount of FREE DOGE you can win depends of current dogecoin price, and biggest prize is fixed at 150$. That mean if dogecoin price go up, you will win smaller amount of DOGE, if price go down, you will win bigger amount of DOGE with every free roll. You roll number of 0 to 10000 and if you roll 10000 exactly, you will win jackpot of 150$ in DOGE. Hi/Lo is simple gambling game where you can multiply your bet up to x4750 times. Everything what you need is to put how much is your bet odds (default is 2.00). In other word bet odds is multiplier so if you put it on 10.00 for example, your bet will multiplied 10 times if you win and you need to roll over 9050 if you press HI button, or under 950 if you press LO button (chance 9.50). Then put your bet amount and press HI or LO button to roll. You also can check jackpot fields on right side, which will you cost additional DOGE bet in every roll, but if you roll number 8888 you will get jackpot for field you checked. Note: I must write additional info about this, because there are many negative comments (most from peoples from India) those complain that HI/LO game is SCAM with pre-defined algorithm. No it is not SCAM. For every bet you have Verify link in roll history, where you can check if server and client seed matches. It is gambling which mean you can win huge or you can lost everything. Before you continue to complain about things you don't understand, learn and get experience in gambling first, maybe with experience you will understand that you was wrong!!! With referral system you can get 50% of hourly free rolls of your referrals.